JK Hair Replacement – winners of the Irish Beauty Industry Awards – Hair Loss Clinic of the Year 2018/2019 – led by Jamie Kidd one of the Ireland’s leading hair replacement specialists, offers a range of solutions for Hair Replacement, Hair Loss Prevention and Hair Care. We take pride in creating solutions that make a real impact on the lives of our clients. We take the time and interest to understand what our clients need and individually tailor each solution. Our Hair Replacement Systems are uniquely designed and crafted in house by our own top hair replacement technician to meet the distinct needs of each client. A top hair replacement technician guides the client throughout the whole process from initial consultation through to fitting and maintenance. There are no sales people, just highly qualified technicians and specialists who are passionate about hair. Our JK Laser Hair Therapy Program helps re-grow your hair using Low Level Laser Therapy (LLLT) and re-growth pharmaceuticals. As this program tackles hair loss from multiple fronts (both from the inside out and outside in) it gives you the best chance of stopping hair loss in its tracks and allowing new hair to grow. For a safe and effective alternative to expensive chemical, laser and surgical procedures for anti-aging or treating skin conditions like acne look no further than JK PPL® therapy. It also can be used to treat pain from arthritis and injury. JK PPL® penetrates deep into the dermis layer of the skin, energizing the cells, stimulating collagen and elastin, giving the skin back its youthful look. If you have a series of treatments you will have anti-aging results. It is 100% safe and pain free and most describe it as a deeply relaxing treatment. Our JK Hair Care Products have been specially formulated to work for all hair types and hair systems so that you can have beautiful, healthy looking hair. We have a range of products which include shampoos, conditioners, hair thickening products, styling products, hair protection products, hair treatments, adhesives, tapes, hair dryers, brushes and much more! Have a look and if you need any help choosing the right product drop us an email or give us a call and we would be delighted to give you more information. Other services we offer include refusions/maintenance and cosmetic hair loss solutions. For more information on our products and services check out our services page. All our rooms are completely private, modern and comfortable with FREE Wifi so our clients can relax as they get their individually tailored treatment. Our clinic consists of four levels with consultation rooms, treatment rooms, laser rooms, a ladies wig boutique showroom and much more. 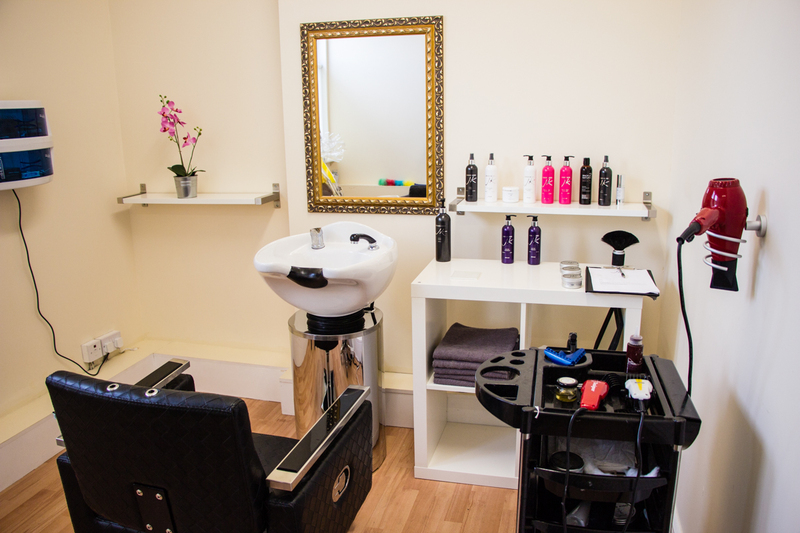 We also have a full hairdressing and salon service. We are registered and authorised by the HSE as an official provider of hair replacement so you know you are in safe hands.